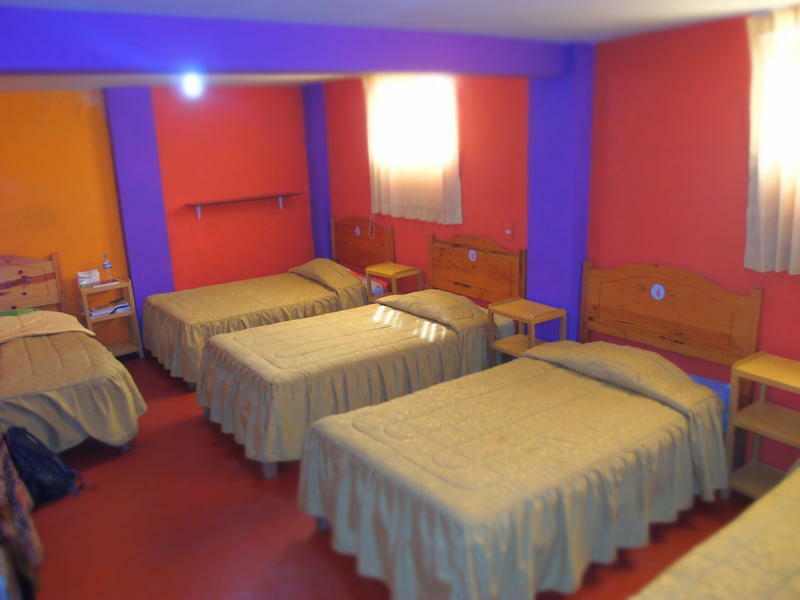 Hostal de Sol de Oro is a cozy hostel with a friendly family service .A great option in Arequipa downtown, located at 3 block from the main square , a quiet place ideal for those who likes good fun, cleanness, security, tourist assistance and the best staff. Hostal Sol de oro has common areas full, good music, and meet other travelers, free internet and wi-fi, free breakfast, super friendly staff and in house travel agency with excellent tours and prices. All the dorms and private rooms are ensuite and kept very clean, yet at attractive backpacker prices.The hostel and its roof top terrace offers an amazing view . Great staff, fun and organised activities, beautiful setting and surroundings, good music. What can you get at Hostal Sol de Oro? 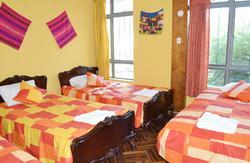 Sol de Oro Backpackers hostel welcomes you to Arequipa, Peru! Cancellation and no show policy: Cancellations or changes are accepted only with minimum 24 hours before the arrival date via phone or email. The 10% deposit you pay on this website is per night accommodation. 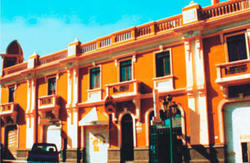 The hostal is situated right in the centre of Arequipa, only 7 minutes from the bus terminal and 15 minutes from the airport. Bus terminal: 7 , 8 soles, not more.